Remove Hazards Caused by Tree Stumps and Keep Your Garden Gorgeous! 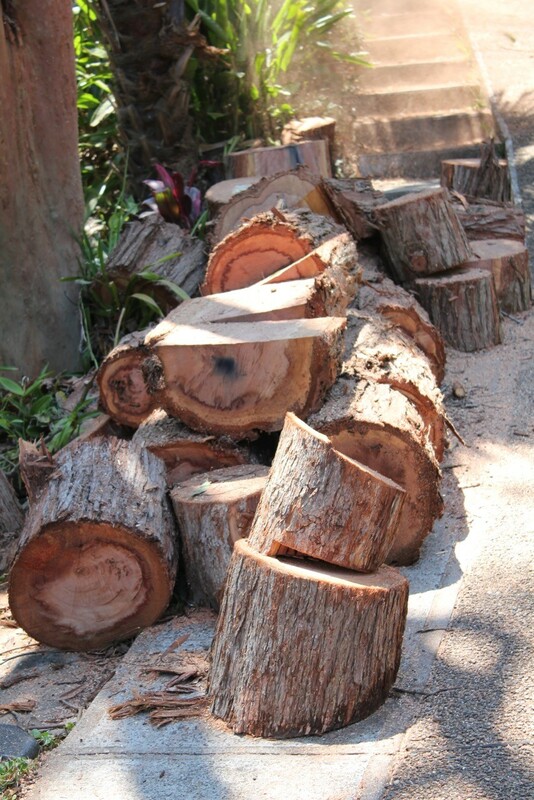 Did you know that tree stumps that are left after removal can cause a whole host of issues? Stumps can rot and quickly become home to termites, ants and other nuisance pests. Not only that, they can also be unsightly trip hazards, ruining the aesthetics of your garden and causing significant challenges to future landscaping work. If a stump is cut below ground level and covered it may regrow its roots – storing up plenty of potential future issues for your property and garden. Professional and skilled stump removal and grinding is essential to eliminate these hazards. At The Tree Cutting Company we have many different stump grinding machines to perfectly suit your needs and property. It doesn’t matter what the size the stump is or where it’s located – we have the tools and experience to get your job done right! You can be safe in the knowledge that we can access any location and ensure your tree stumps are removed quickly, safely and with and a minimum of fuss – even from hard to reach areas! We’re a small business with over 15 years experience, offering expert and dedicated service with a personal and friendly touch. We’re approved members of the tree industry body – Arboriculture Australia – so you can feel confident of our professional service! Safety is paramount to us – our equipment is fully checked and in safe working order. We’re fully insured with public liability to $20 million and our tradesmen are highly skilled, trained and qualified. We’ll always clean up your property to your satisfaction after work is completed, and will offer you specialist advice and tips for the care and maintenance of your trees. So, call us today for your FREE no obligation quote and let us take care of removing your stumps and keeping your garden safe and beautiful!